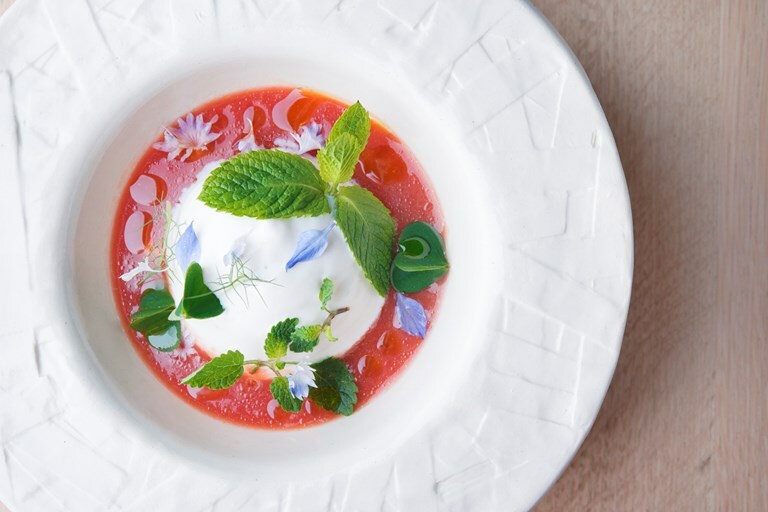 This stunning vegan starter is served with a cannellini bean cream flavoured with lemon verbena, creating a fragrant counterpart to the fresh tomato and nectarine gazpacho. Hidden below the cloud is also a tangy peach sorbet, diced carrot and celery. Make sure you plan your timings well for this dish as a few of the elements require long infusing, churning or soaking time. 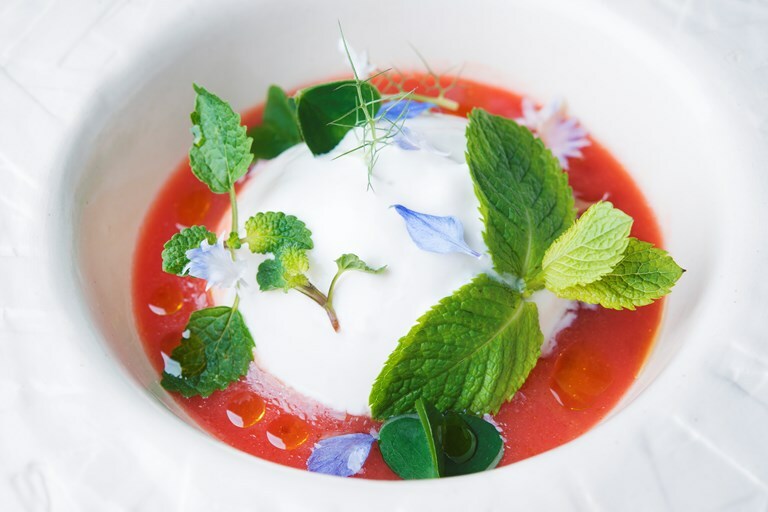 After discovering a passion for the macrobiotic diet, Sauro Ricci is now the head chef at Europe’s first ever Michelin-starred vegetarian restaurant.